Boil the potatoes, peel and mash them. In the mixer, grind chllies and coriander leaves. Now mix mashed potatoes along with chilli and coriander paste and balck pepper powder. Add this mixture to wheat flour and make a dough. 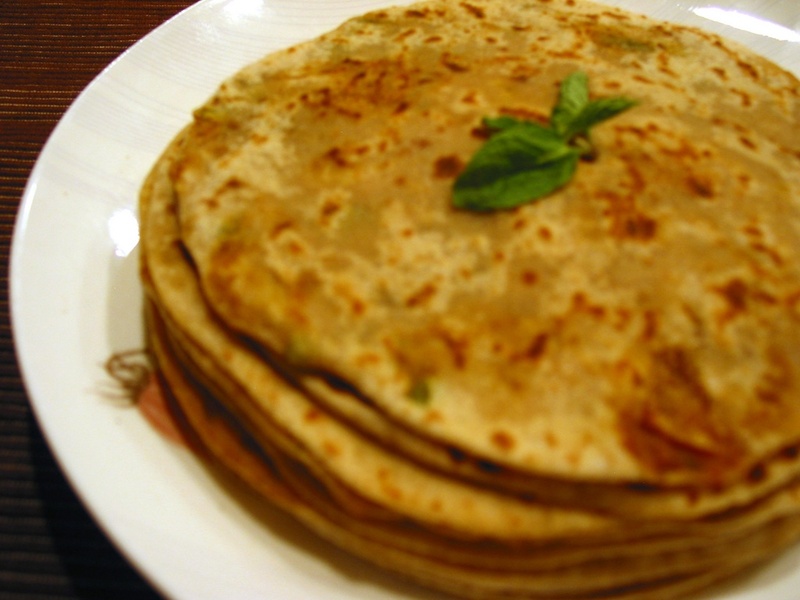 Now make parathas same like you make chapattis. 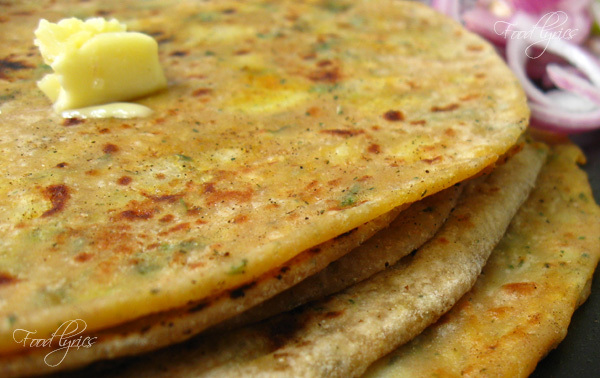 Heat the butter on a non stick tawa…and fry this paratha. Serve hot with chilled yoghurt or pickle.